BRANDON, MB – A nationally-recognized First Nations Elder will speak this week at Brandon University about the healing of individuals, families and communities affected by the legacy of colonization in Canada. 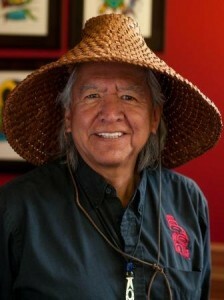 Gerry Oleman, a member of the St’at’imc Nation from Tsal’alh (Shalalth, BC), has been involved as a change agent for First Nations communities and agencies since 1976, providing counselling and leadership on the local and national levels. He has facilitated more than 600 workshops in Canada and the United States. Dr. Bruce Strang, Dean of the Faculty of Arts, says Oleman will speak to students in the University’s new Clinical Specialization in Native Studies program, the only undergraduate degree offered in North America linking aboriginal healing and traditional knowledge with a counselling focus. The public is invited to meet and hear Oleman on Friday, October 18th, from 2-4 pm in BU’s He Oyate Tawapi ceremony room (Room 141, Health Studies Building). Brandon University, founded in 1899, promotes excellence in teaching, research, creation and scholarship; educating students so that they can make a meaningful difference as engaged citizens and leaders.